The Buccaneers are the featured team on this year’s Hard Knocks on HBO, but they showed some love for another HBO program: Game of Thrones. The Tampa Bay Buccaneers will get a ton of airtime on HBO over the month of August, so it’s nice that they decided to give back to HBO by discussing one of the network’s other shows during training camp. Game of Thrones has become a cultural phenomenon nowadays, and everyone is talking about it at work, with their friends and all over social media. 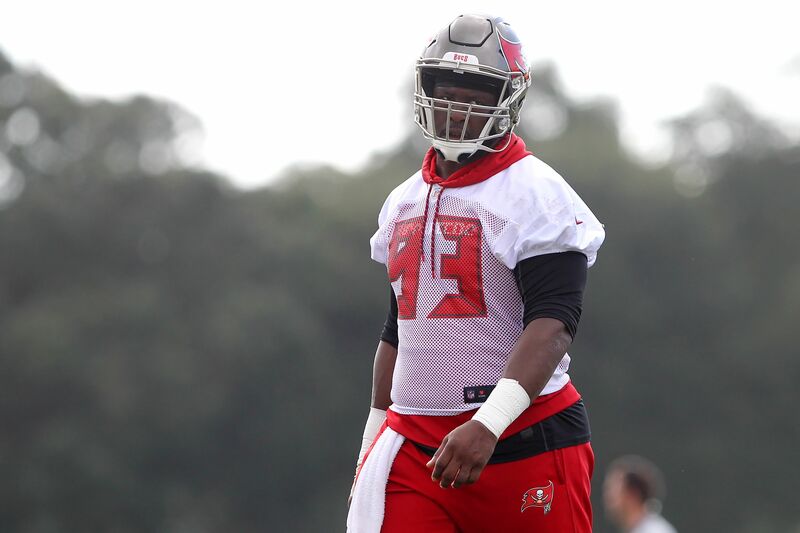 So, it shouldn’t be surprising to hear it made its way onto the football field for one of the Buccaneers’ latest practices. In a clip posted by NFL Films on Twitter, Gerald McCoy and Kevin Pamphile, during a moment of free time, went back and forth about their feelings on some of the latest episodes of season 7 of the hit show. “I don’t know what to think about Daenerys and Jon Snow,” McCoy said, before the two went in-depth about the two meeting in one of the latest episodes of the show. Just think, if you’ve had dreams about becoming a professional football player, but feel you don’t have the same mindset or skills as the impressive athletes you see on the field, just know you may be interested in the same television shows as they are. Hard Knocks doesn’t start until Aug. 8, but it’s nice to get a quick look at what we’ll see on HBO on Tuesday nights throughout the month of August, and let Game of Thrones fans know they won’t be missing out on any chatter about the show if they tune in.